Nasir is a journalist from Karakorum Explorers who survived the quake. Here is his story. Meanwhile, the death toll rises in Pakistan and Afghanistan. The Pope: "I pray for the dead and the homeless"
"The whole team and I are fine, although there are many victims, many of them also in the Hunza Valley. There have also been many landslides and the Karakoram Highway is blocked in many places". These are the words of Nasir Hussain, journalist of the Karakorum Explorers press association. Indeed, unfortunately the death toll of the violent earthquake that struck Asia keeps rising. As undisclosed by the local authorities, there are at least 310 victims in Pakistan, while the numbers in Afghanistan are of 115 dead and 538 wounded. Right now there's talk of a 425 victims total, but according to Reema Zuberi - spokeswoman for the National Disaster Management Authority - "those found to date are 310", although the toll could "continue to rise". There are more than 2,000 injured only in the northwestern province of Khyber-Pakhtunkhwa. The website Pamirtimes.net speaks of 8 dead and 20 injured in Gilgit (Baltistan). There's also reports of the destrucion of hundreds of homes, and many roads are blocked in the District of Ghizar, near the Afghan province of Badakhshan. 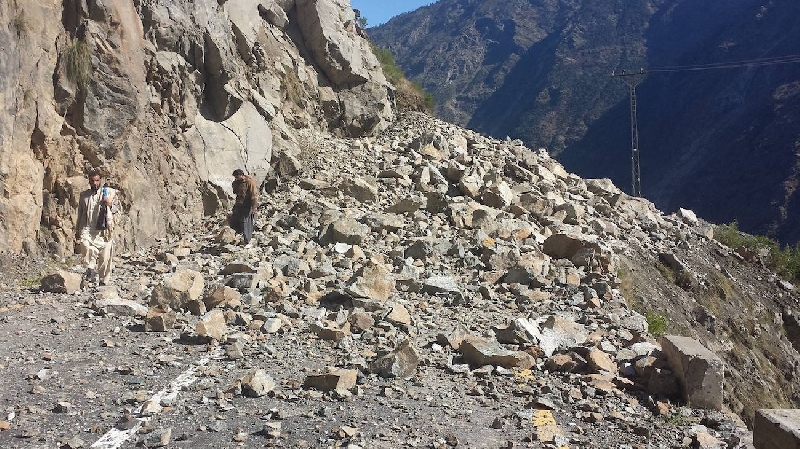 They also mention a serious accident caused by a boulder falling on a passing vehicle on the Gilgit-Shandur road, and another very similar one in the area of Kohistan. Reports also talk about victims in the District of Diamir and Chitral (37 dead). There are landslides in Astore. According to local sources, information coming from the most remote valleys are still insufficient. Many roads are cut off and the phone network is still haywire. Pope Francis expressed his condolences for the victims: "We are close to the people of Pakistan and Afghanistan affected by a strong earthquake that caused many casualties and extensive damage" , he said. "We pray for the dead and their families, for all the injured and the homeless, praying God for relief from suffering and courage in adversity. Let's bring these brothers our full solidarity ".